So this month.. went by so fast, right?? I can't believe it's Cake Slice Bakers time again and thinking on last month.. uuugghhhh... I had to push the boat out. Had. To. My baking sanity needed to be restored. Sounds like my kind of baking alright! 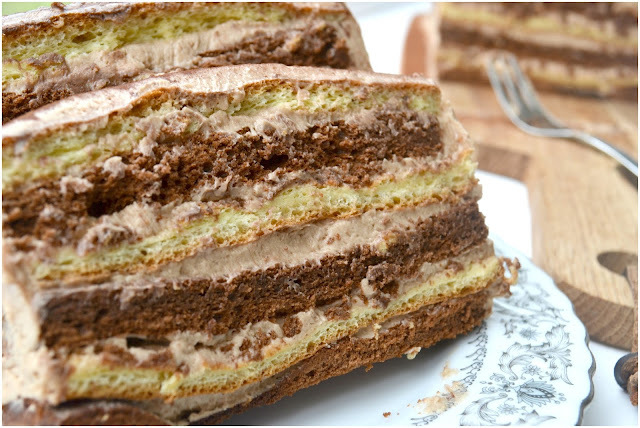 This black and white layer cake isn't your usual sponge-mix frosting sandwich. 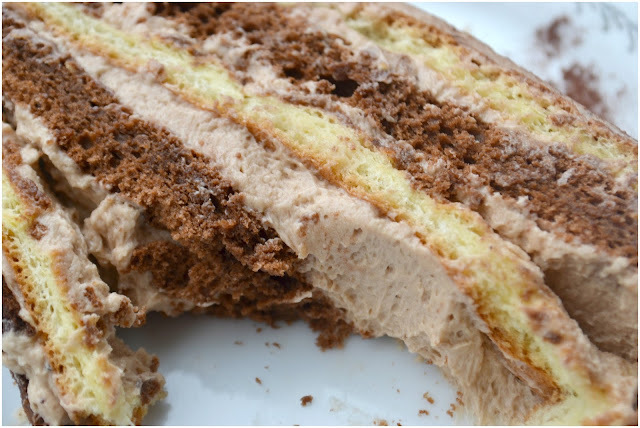 It's a light and fluffy meringue-ish, fat frosting sandwich that got the thumbs up all 'round. I didn't use the chocolate buttercream recipe Maida provided in her book... using 7 egg yolks in a frosting is not something I was ready to commit to. Especially not when I had leftover chocolate frosting in the fridge. It's a pain step-by-step wise.. (just reminding you) the instructions seem to go on forever and Maida, being Maida, loves to add in convoluted notions... just to make things extra laborious I think. But I've cut all of that out. Ain't nobody got time for that! Concentrating on the fact I have made this easy for you, it's well worth the bake. This bake also highlighted my lack of serving trays.. Craziness if you ask me! I really need to catch a hold of myself!!! I don't think I have ever made a rectangular shaped layer cake, so have had no need for a serving tray that shape. I did however have a cheese board, for when I am playing grown ups with my friends and have them over for fancy nights with wine... oh, and cheese* of course! 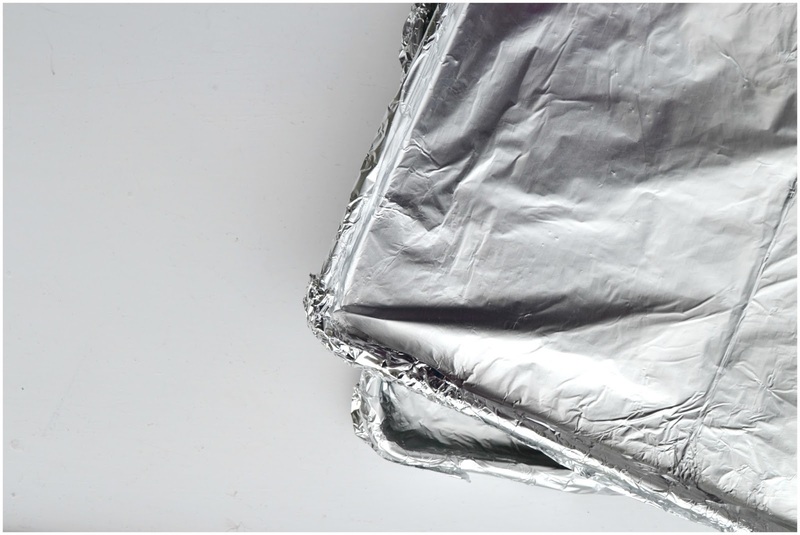 You want to cover two rectangular baking sheets in tinfoil. If you turn the pan over and make the shape on the bottom, it'll sit a lot easier into your pan. 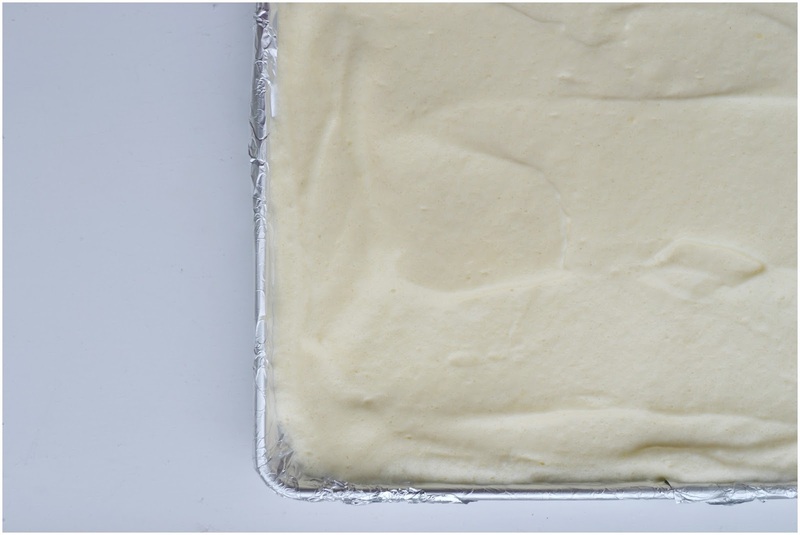 Spray the whole sheet with cake release of grease the entire thing with some melted butter. Set to one side. Preheat your oven to 350 F/ 180 C or Gas Mark 4. In a mixing bowl combine the egg yolks and vanilla with 3 tablespoons of the sugar. Beat until thick and pale. Fold in the flour, until just smooth. Scrap the sides down of the bowl. In another bowl, using clean beaters or a whisk attachment, whip the eggs whites with the salt until soft peaks form. Add the rest of the sugar in three installments, until the egg whites are firm, but not stiff or dry. Add one third of the egg whites into the egg yolk mixture and fold through until just incorporated. Fold in the rest of the egg whites, carefully until just blended. DO NOT over mix. 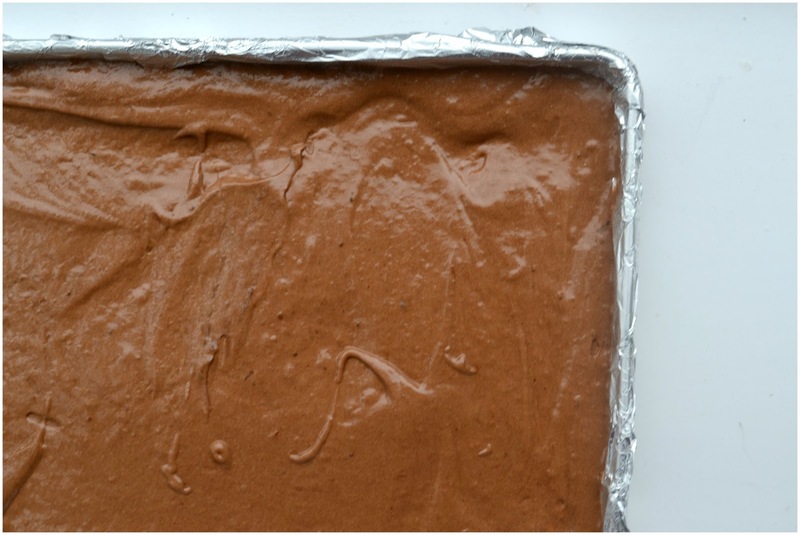 Pour the mixture onto a prepared tray and spread it out to the corners. Smooth out the top. Pop into your preheated oven for 15-20 minutes until the tops spring back when touched and the sides start coming away slightly from the pan. 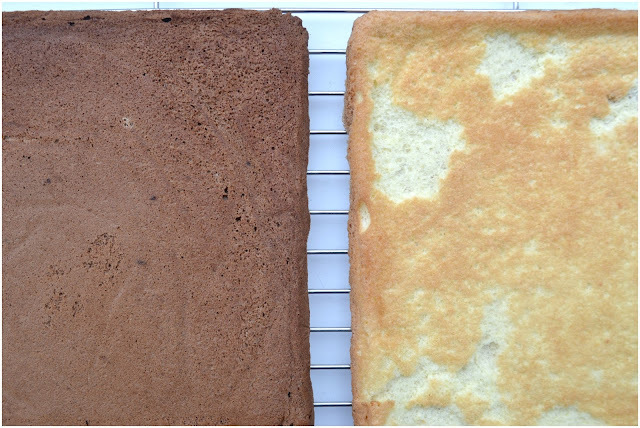 Flip the cake out onto a wire rack, take off the pan, peel off the tinfoil and all the cake to cool. heat the chocolate in the microwave until just melted, add the hot coffee and allow to cool slightly. Fold the coffee/chocolate mix through the egg yolk mix until combined. Add one third of the egg whites into the chocolate mixture and fold through until just incorporated. Fold in the rest of the egg whites, carefully until just blended. DO NOT over mix. Pour the mixture onto a prepared tray and spread it out to the corners. Smooth out the top. Pop into the preheated oven for 15-20 minutes until the tops spring back when touched and the sides start coming away slightly from the pan. Beat the butter on high until it is very soft and pale. I find that if you give the butter a couple of seconds in the microwave, to when it's almost starting to melt, before you beat it, you end up with the lightest and fluffiest of frosting. Add in the icing sugar a few bits at a time. Add the double cream and keep mixing until light and fluffy. 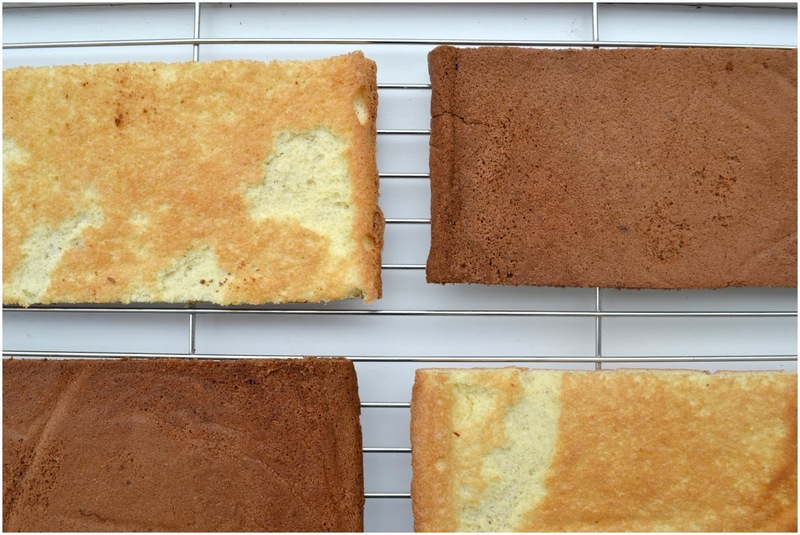 When cooled, cut the cake into three even strips each... Giving you 6 layers. 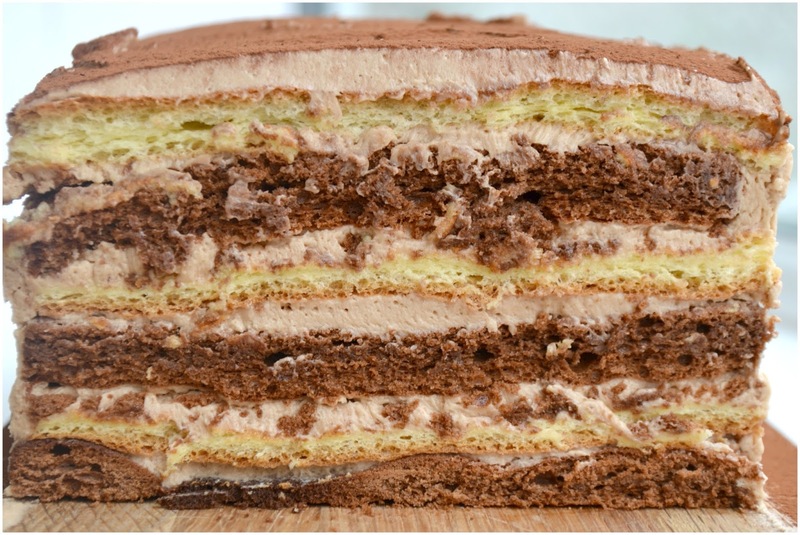 Staring with what ever colour you want, layer the cake sandwiching the layers with some chocolate buttercream. 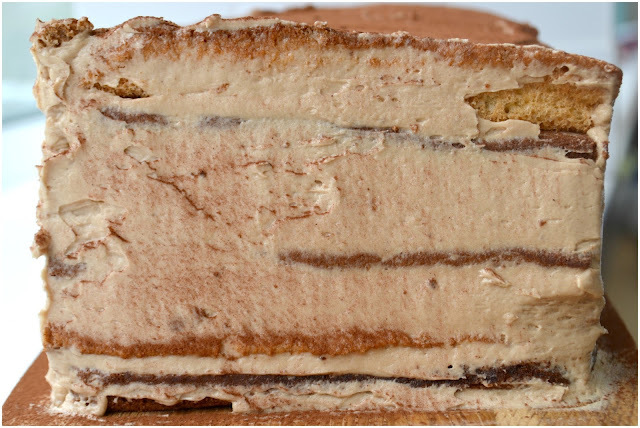 Thin layers of buttercream will suffice here. Continue in the same fashion, until all the layers are sandwiched. Coat the tops and sides with the remaining buttercream and pop in the fridge for 30 minutes. 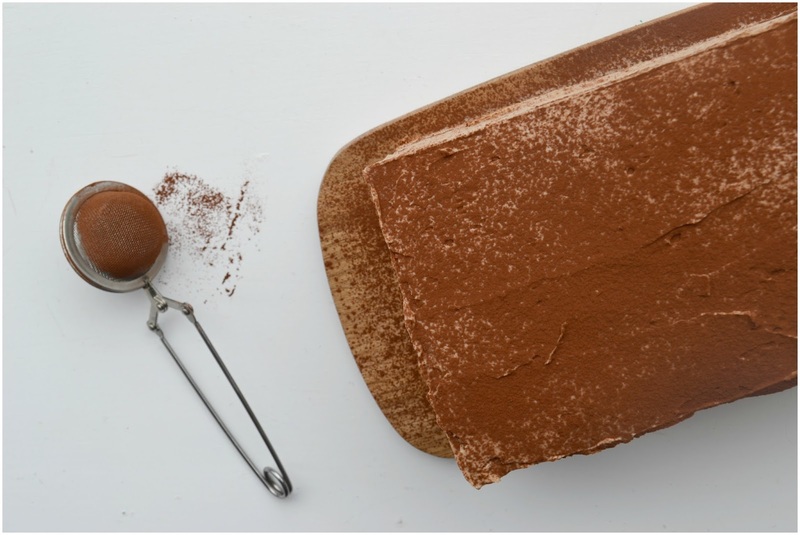 Take out and dust over with cocoa powder, serve cold. Or at room temperature for a softer frosting... Either way it's going to taste pretty damn special! 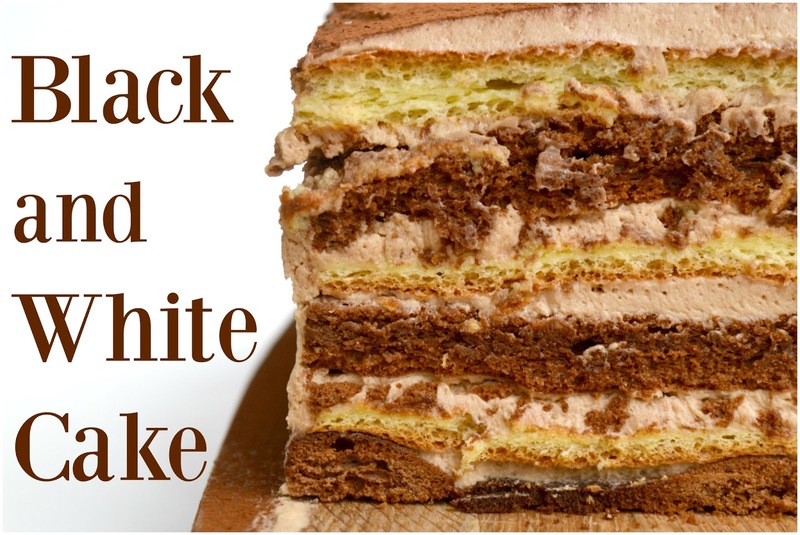 And there you go... A Black and White layered cake with a yummy buttercream frosting filling worthy of any wine and cheese night... Have a look at what the other members of the group baked through the links below! Enjoy! I didn't even look at this cake when I saw three pages of instructions in the book but you have made it seem much simpler. It looks delicious too... And no, I wouldn't make a buttercream that involved six egg yolks either! Seven egg yolks in frosting?! Wow! I missed that part when I read the ingredients! I would of skipped the eggs too, sounds rich! It turned out nice. I love the idea of this cake. I've never actually made a sponge cake before. I might have to try it out. I love your condensed directions! Beautiful layers and it all looks so delicious. I think that keeping the buttercream between layers thin is probably the crucial bit? Looks very professional. Lucky wine and cheese party goers!! Thanks for the scaled-down method of making-of-this cake! Looks like I have to use the foil lining! 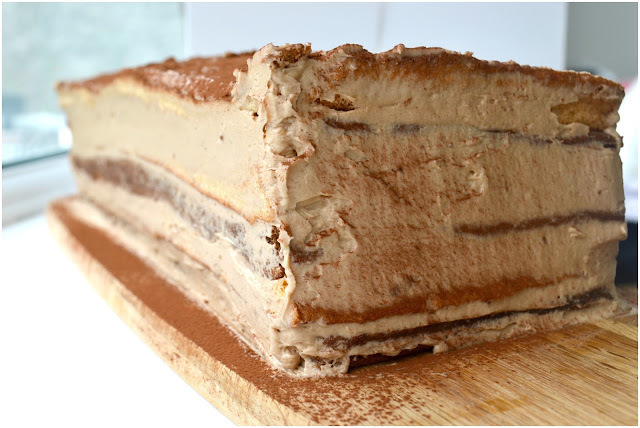 That looks lovely and soft, it reminds me of tiramisu a bit. Ha! I love this post... and I love playing grown ups every once in a while too. (But am just am more likely to invite people over for cake than wine and cheese!) Finding the tray to put the cake on is always one of the hardest parts of baking fun cakes. I don't want to store or buy a billion of them, but the ones I have never seem quite right. Oh well! Either way, this cake looks lovely!